ESA (European Space Agency) scientists used satellites known as the Swarm in order to locate and identify Earth’s second magnetic field. The main magnetic field, also known as the geomagnetic field comes from the movement of super-hot liquid iron in the outer core of planet Earth. The new research has identified that magnetized rocks located in Earth’s crust along with the flow of the oceans can impact the magnetic field. The magnetic field in general works in a way that protects the Earth from the stream of solar charged particles, or the solar wind. 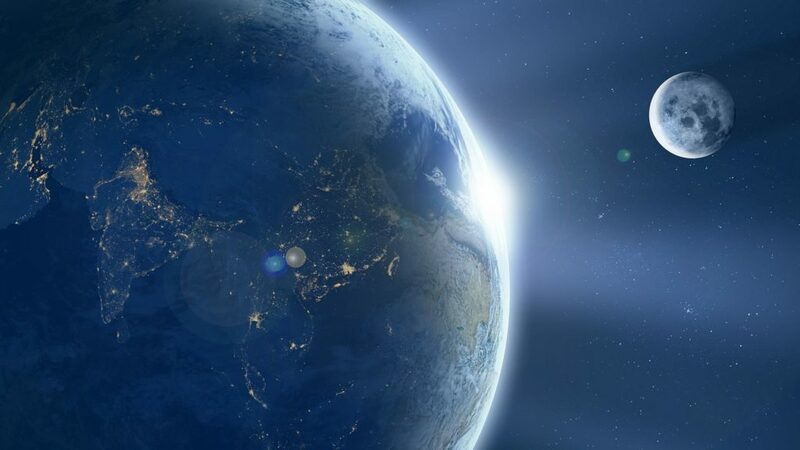 If Earth’s geomagnetic field wasn’t protecting Earth from this event, those particles could damage the navigation of satellites and aircraft and disable electrical power grids, leaving the world in darkness, according to geophysicists Phil Livermore and Jon Mound in their article for The Conversation. Furthermore, the radiation from the solar flares could affect human life on Earth. Nils Olsen who worked on the survey told the BBC that Earth’s second magnetic field helps scientists understand how oceans flow all the way to their depths, adding that this could be a key for understanding how climate changes work. As per Olsen, oceans are capable of absorbing heat that comes from the sun and air, and they are now able to track how the heat gets distributed through different depths of the ocean. 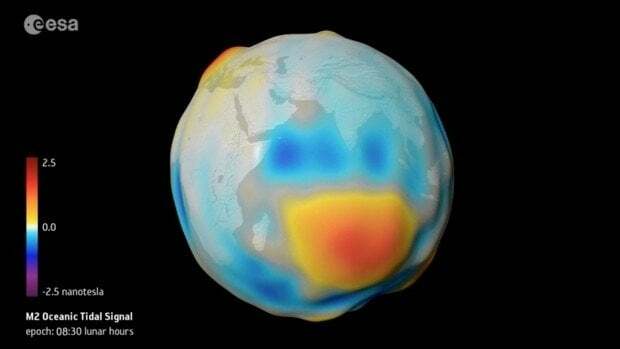 Researchers also used the opportunity to reveal a new map of Earth’s magnetic field created with their findings. They used four years of Swarm measurements, data from a German spacecraft known as Champ, and information that was gathered with airplanes and ships to create the map. The map also reveals how the rocks under Earth’s crust are magnetized. The zebra-stripes on the map can be allocated to the mid-ocean ridges, areas where magma forms new seafloor. Aside from Earth’s second magnetic field, researchers presented research on the movement of the north magnetic pole. In their presentation, they noted that the magnetic north pole is slowly moving away from Canada and moving towards Russia. According to them, this year the magnetic north pole is located about 240 miles from the geographic north pole. According to the team, the north pole moves at about 34 miles per year. “This year we are in a rather special situation because in 2018 the magnetic pole will be at its closest to the geographic pole. There is a separation of only 390km. The magnetic pole moves at a speed of about 55 km per year,” Olsen told BBC News. The expectation is that the gap between the two versions of the pole will widen again next year.